CRANFORD HOUSE - 704 N. BUCHANAN BLVD. I remember the Coca-Cola sign on that house from the mid-'70's! I lived in the Cranford House from fall, 1970 to summer, 1971, or the north side of the house to be specific. It had been divided some years earlier, and I lived there with four other guys (several Duke senior undergrads and a couple of recent Duke grads). Two bedrooms and the kitchen downstairs, with three bedrooms upstairs. The house was rented by Allenton Realty, and we almost were not allowed to rent it, because the former group of students tenants had (among other things) rebuilt a motorcycle in the entrance foyer. The house was a wonderful place to rent for the year, but it was minimally maintained and looked very much like your 1980 photo. We called it Tara, and it was known as that for several years before the white exterior was re-painted lime green and the Coke sign hung on the front. 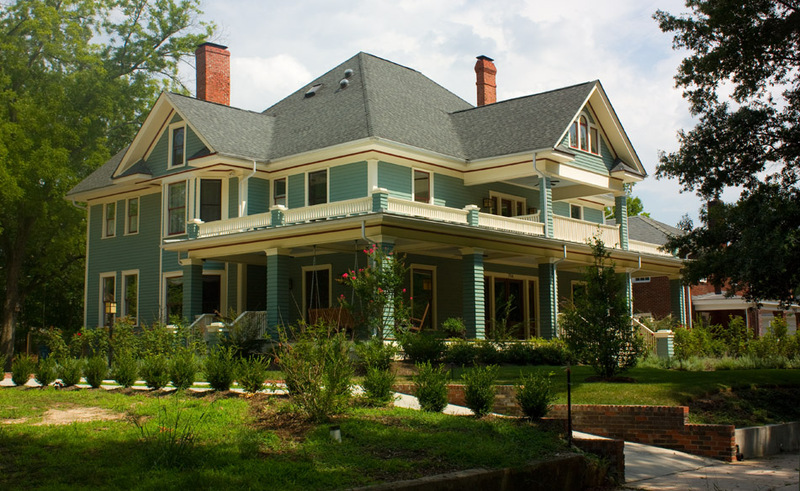 The recent restoration by the Wells has obviously been wonderful and restored the former elegance to this home. I did some research on this house when it was being renovated. Originally the house faced Urban (it was listed at 1110 Urban until some point in the 1920s) and the porch continued around the left side with a second two-story projecting gabled porch facing Urban; it was visible on an early aerial photo of the Duke's campus (I'll e-mail you the photo). Cranford sold the house to Theodoric Trent Frazier (a dentist) in 1922 and built the house next door (710 Buchanan) and moved there. (We never could figure out why he downsized.) Around 1926, Frazier removed the two-story porch on the south end (facing Urban) and subdivided the house into two apartments, bisecting the large central stair. It was at this time that the house took a Buchanan Street address. He then erected the brick house on the southwest corner of Buchanan and Urban and lived there until his death in 1946. 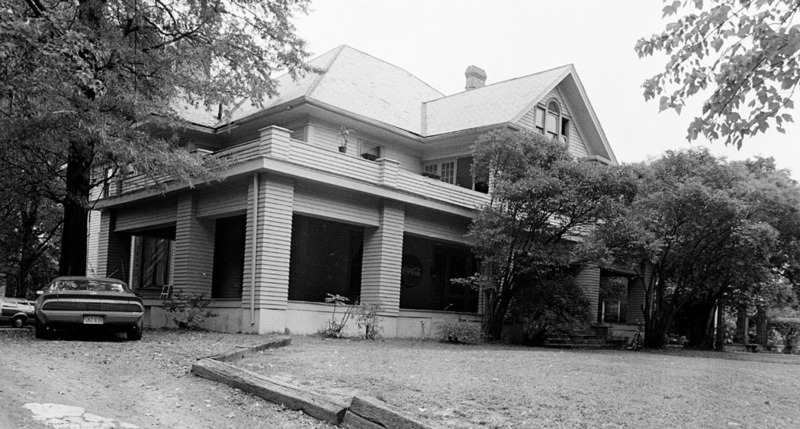 His daughter, Virginia, and her husband Ernest B. Goodwin owned 704 Buchanan until 1967, and lived in one side of the house briefly, but it appears to have been rental property from about 1926-2006 when Duke bought it. It's unclear when the south side was divided into an upper and lower apartment, but the house was three units in 2006.
dainty columns = prius? outback? fit? anyone know what the wells drive? per the first comment, this house was known as "The Coke House" when I was at Duke in the late 70s. I lived in this house during the 1971-72 school year. As Wib G says, it was subdivided and I also (with 4 other guys) lived on the North side. The inside sure looked nothing like the picture shown here. It was a great place to live and very convenient to campus. In 1957 and 1958, my family lived in the North side of the house while Dad went to Duke. I was in the third grade. There was a wall splitting the staircase and the South side was two apartments. My bed was in the back room gable and the pigeons that lived just outside the window woke me at 5:30 every day. When we moved in, Dad had to get rid of a huge old car in the garage in the back yard by the fence. Mom blew up the furnace in the basement somehow (I think it was coal, still). There was a huge tree in the middle left front yard. Right in the middle of the back yard, about 18" deep, is a cigar box full of the worst smelling little shell fish I picked up at Myrtle Beach. Mom said that was the only way to keep from smelling them still. William Cranford and his wife Nellie built the house at 708 N. Buchanan (now 704) between 1906 and 1911. Cranford was a Greek instructor and philosophy professor at Trinity College, and later Dean of Trinity College. Cranford was a gentleman farmer as well, and had a barn, chicken house, and fields behind his house, the first on the block. The tale goes that Cranford's cows used to graze on the northern part of the Trinity College campus. Cranford appears to have died in the mid 1930s, but his wife continued to live in the house until the early 1950s. It is listed as vacant in 1955, then populated by a series of owners in the 60s and 70s. It became part of the Guy Solie/Trinity Apartments conglomerate in the 1980s. I don't know if it was divided into apartments then or before that time. 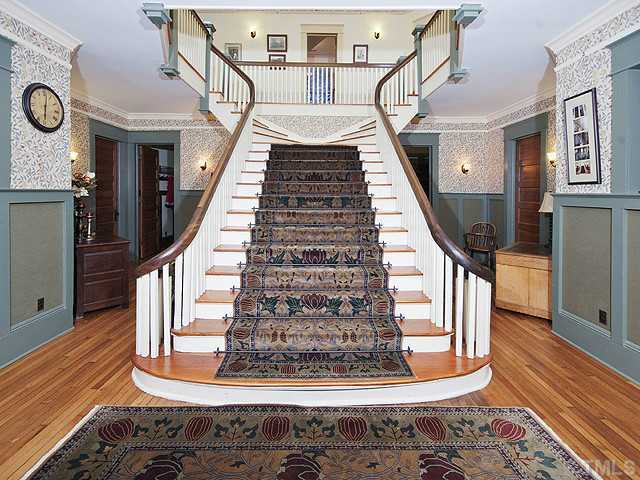 In 2007, the house was purchased by Sam and Jo Bailey Wells, who spent 18 months meticulously restoring the house.